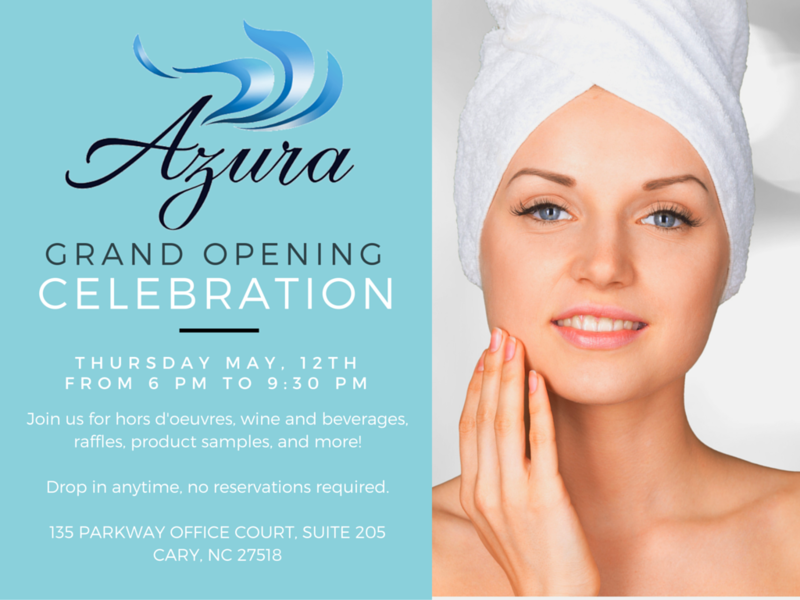 Azura’s Grand Opening Celebration Specials! We are ready to celebrate with you on Thursday, May 12 at our Grand Opening Celebration! We’ll start thing off at 6:00 p.m. and welcome you to drop in anytime before 9:30 p.m.
RSVP not required, but greatly appreciated. 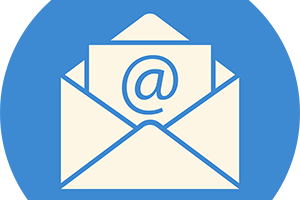 Please email us at Hello@AzuraSkin.com to let us know you’ll be visiting! We’ll select two winners to receive 20 units of Botox or 60 units of Dysport – a $240-$260 value! Also being provided to another two lucky winners – 1.0ml Restylane or Juvederm 1.0ml. $500-$550 in value! Purchase any service or product the night of the party and when you check out at the front desk, you will automatically be entered into a drawing for $300 credit toward any service offered at Azura! This very special red wine is a $250 value and one lucky attendee will receive a complimentary bottle! Two winners will also receive two VIP tickets to the Raleigh Food & Wine Festival Sunday tasting event on Sunday, May 22 – a $100 value per winner! Bank your Botox or Delay your Dysport! Purchase Botox for $10 a unit (reg $13) or Dysport for $2.90 a unit (regular $4) to be used at a later date. Schedule micro-needling treatments with Hyaluronic acid topical for just $200 each (regular $275) or with growth factor topical for $250 each (regular $325). Purchase one 60-minute massage with hot stones or bamboo sticks for $70 (regular $95-$110), or $200 for three (regular $285-$330). Exilis is one of the first systems that delivers actual circumferential reduction. By combining RF energy with cooling, we can treat all areas of the body where stubborn fatty deposits persist or tighter, firmer skin is desired. While the RF energy is heating the dermis, patients remain relaxed and comfortable as the system’s digital thermometer provides real-time monitoring and constant feedback as to the skin’s temperature, thus ensuring a comfortable and safe treatment. Read what Jennie has to say about Exilis on the Azura blog here! All of our fantastic product lines are 20% off the night of the party. Prescription grade products may be purchased after consult with a provider. Is there another service you are interested in? Speak to us about your options and receive 15% off that service – including any filler product!